About Last Night, or should that be about 1986? 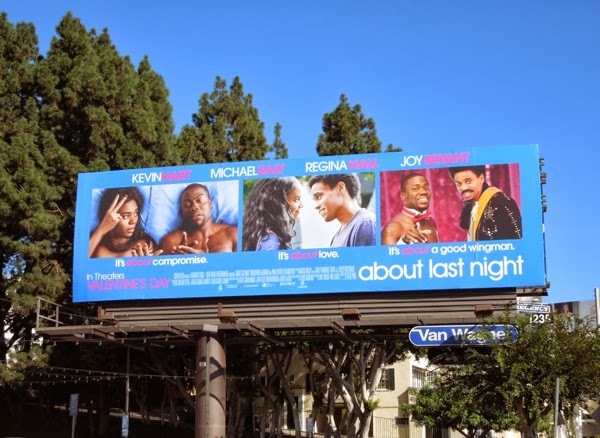 Yes, surprise, surprise, Hollywood is bringing us another movie remake this month based on the 1986 romantic comedy of the same name, both based on David Mamet's 1974 play, Sexual Perversity in Chicago. 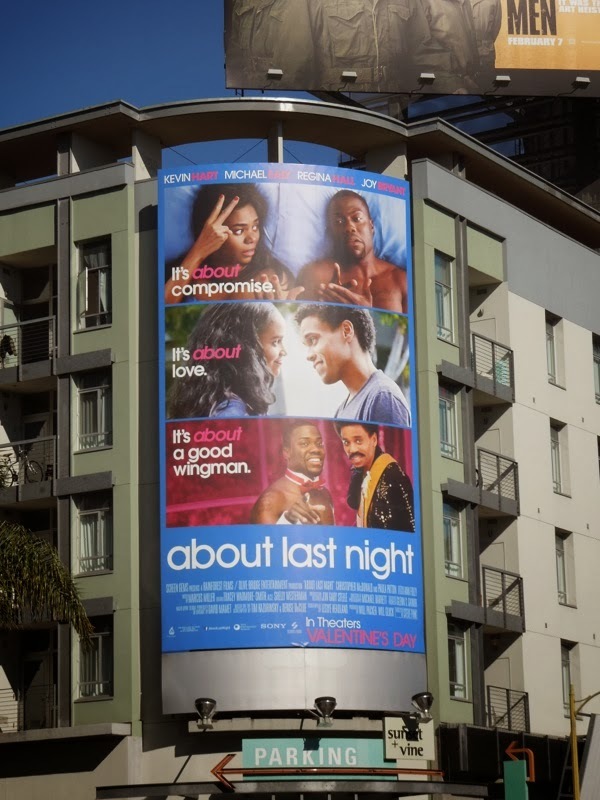 This new version sports an all-black cast and moves the bar and bedroom action to L.A. from Chicago, so at least that's a different spin on things. Can Kevin Hart bring the comedy again for this Valentine's Day like he did in the recent box office smash Ride Along? 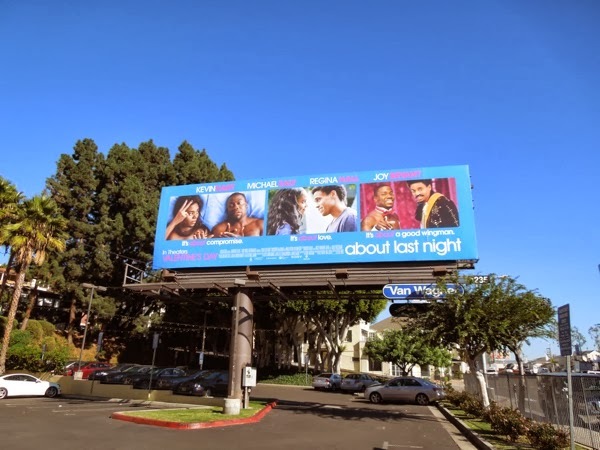 He's got a great wingman in the form of Michael Ealy (who's doing great things as a futuristic android on Fox's Almost Human series), plus a feminine touch from their significant others Regina Hall and Joy Bryant. 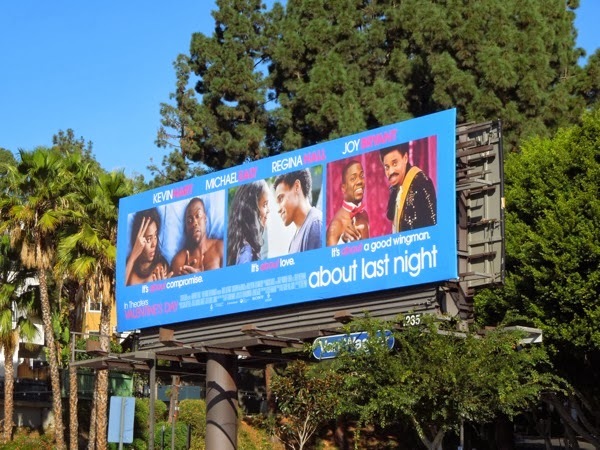 This ad creative for the comedy isn't the most dynamic, and it's almost as if the studio couldn't decide on one image that instantly sold the movie. 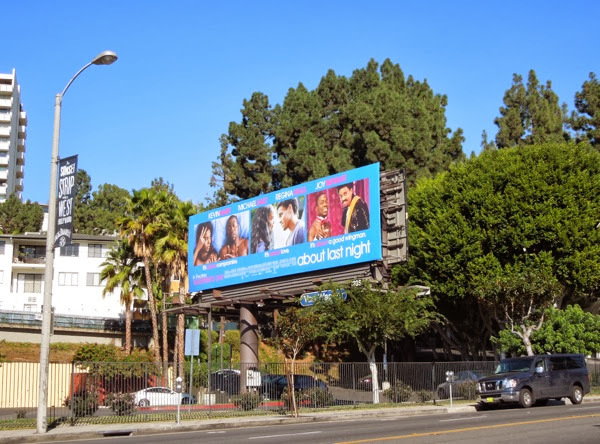 If you think about it, each of the visuals would probably make an eye-catching billboard in its own right as part of an overall campaign for the movie (and from the amount of ads around L.A. they probably have the ad spend to run a multiple creative campaign). 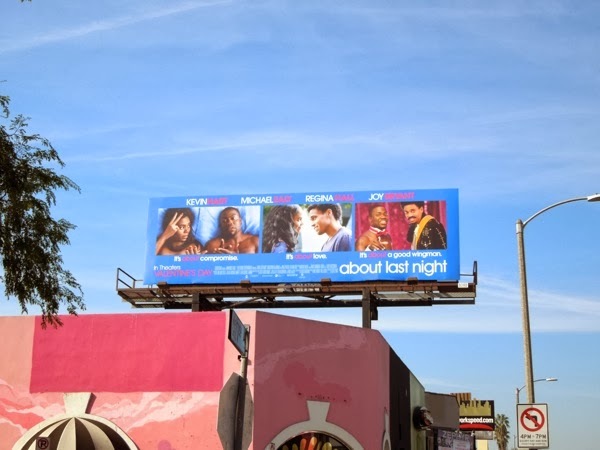 The landscape billboard was first spied along Sunset Boulevard in West Hollywood on December 30, 2013, plus along Melrose Avenue on January 29, with the portrait version snapped at Sunset & Vine on February 1, 2014. 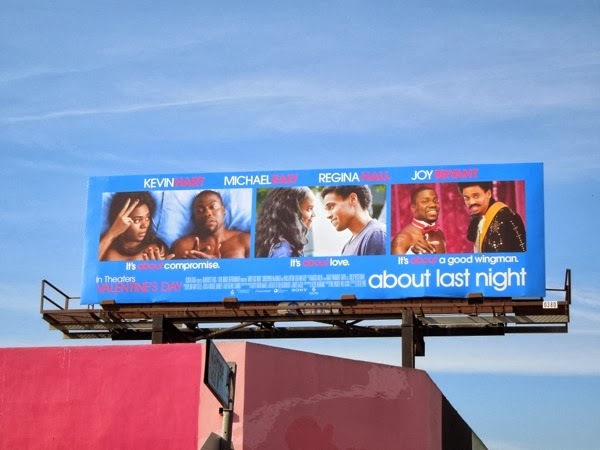 Let's just hope this movie remake is more inspiring that the billboards promoting it.